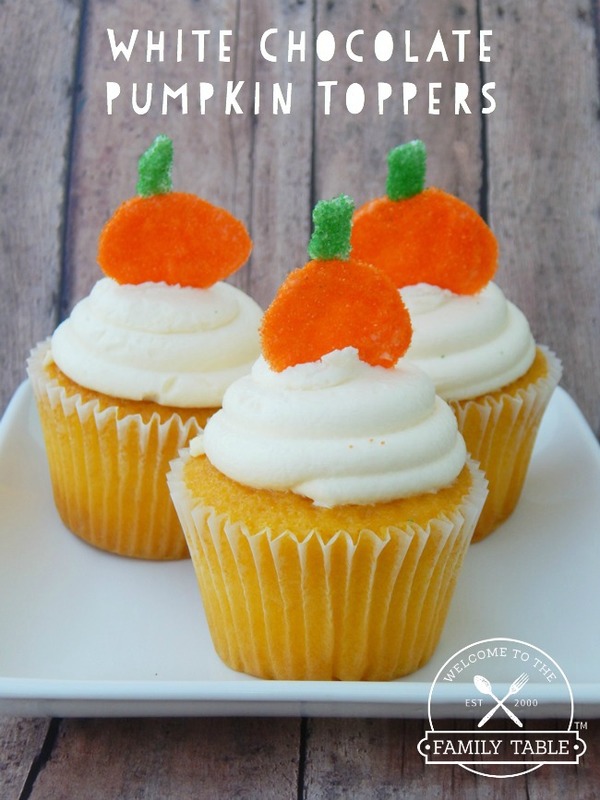 We are excited to share these adorable and easy white chocolate pumpkin toppers with you. 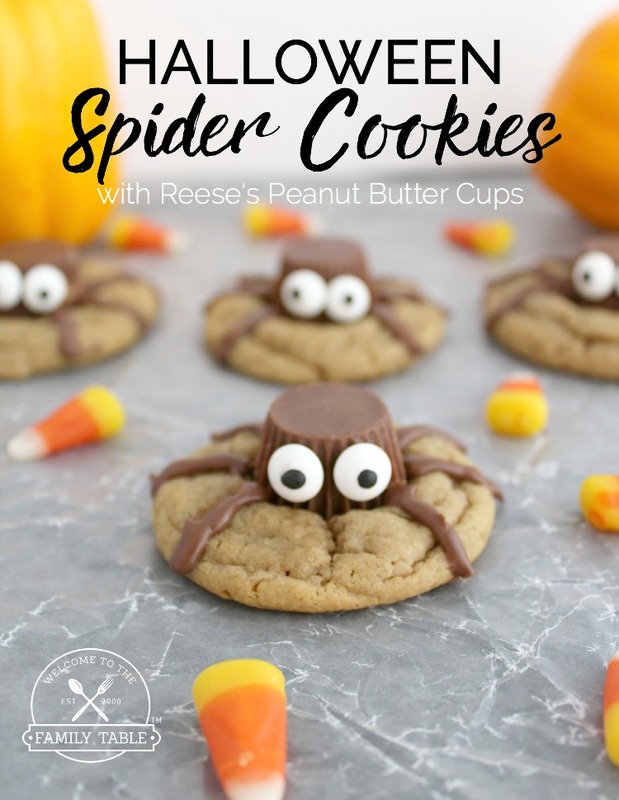 These fun and inexpensive seasonal delights are not only cute, but enjoyable to make with the children. We use these fun toppers for cupcakes, muffins, and other fun fall treats. And truth be told, sometimes we make them and just eat them. Ha! However ever you decide to enjoy them, we hope they spice up your holiday season! then pour chocolate into it. Sprinkle the orange shimmer sprinkles onto the pumpkins. Repeat the same process with the green chocolate for the pumpkin stems. Then add the green shimmer sprinkles. Let dry and use spatula to remove them. Add onto cupcakes, cakes, etc. 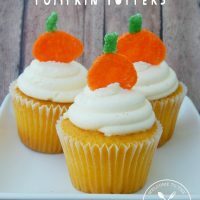 These delicious and easy white chocolate pumpkin toppers are sure to give the perfect finishing touch to your fall treats!